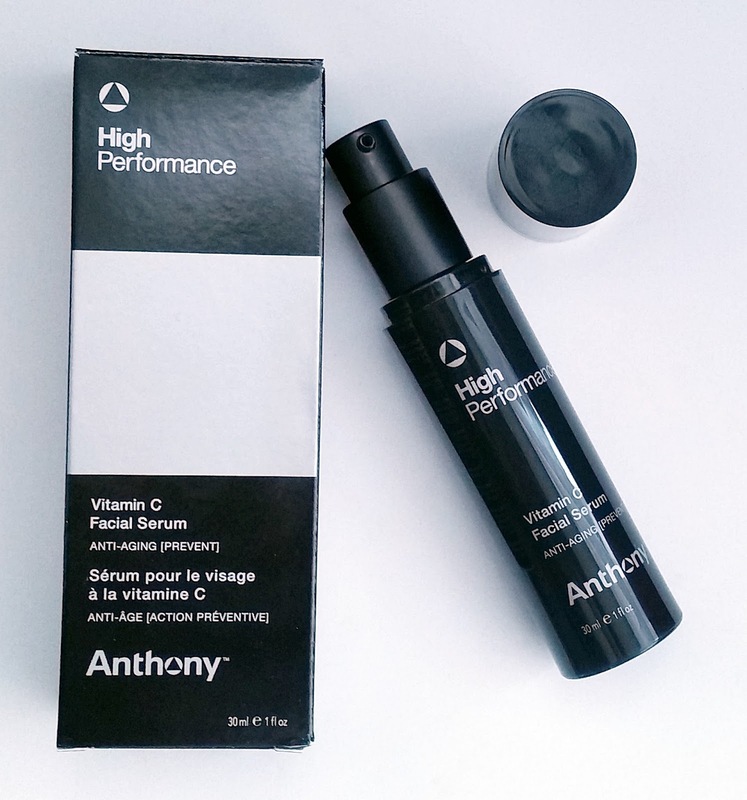 The high performance Anthony Vitamin C Facial Serum is filled with a stabilised Vitamin C to protect skin against free radicals, while stimulating its production of collagen. A unique blend of peptides and AHA's rejuvenate, retexturize and brighten skin, while licorice root extract helps to create an even skin tone. The serum is a product to include in your skincare if you are looking for an anti-ageing product that can help prevent premature ageing, whilst also helping to transform damaged skin caused by stresses such as the sun. The other tasks the serum can achieve is by boosting moisture levels even in the driest of skin types, whilst also soothing skin with the help of its energising cucumber extract. The Anthony Vitamin C Facial Serum contains NO Parabens. Phthalates, DEA, Animal Derived Ingredients, GMO's, while the company is against animal testing. Anthony Vitamin C Facial Serum - How To Use. Apply the high performance serum daily to cleansed skin in the morning and in the evening. 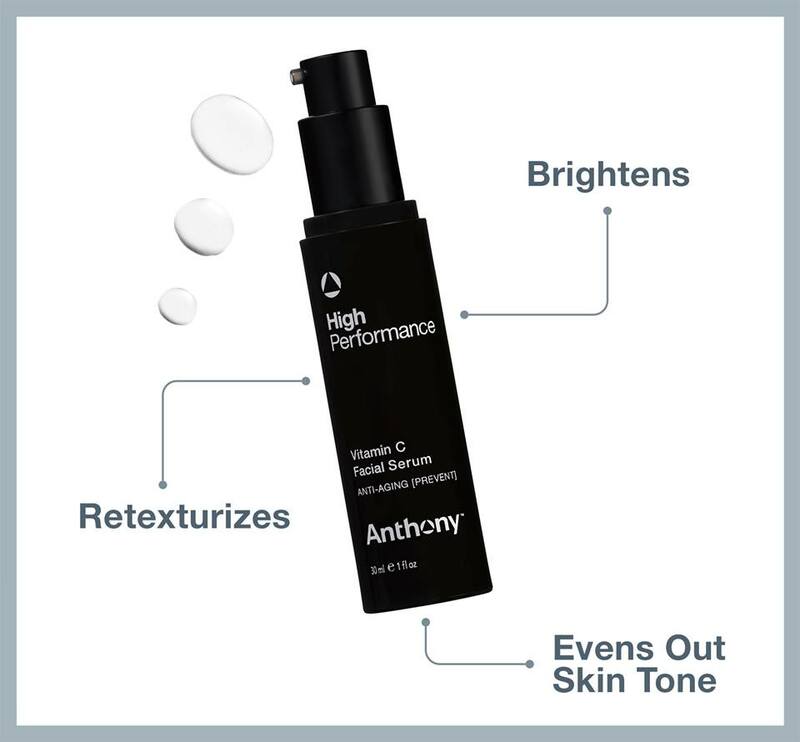 The high performance Anthony Vitamin C Facial Serum should be the first product applied to the skin as its water soluble. Containing the Vitamin C ingredient Magnesium Ascorbyl Phosphate, also easily recognised as MAP, is a derivative of Vitamin C. It is more stable in water unlike the purest form of Vitamin C and has been shown to offer specific skin brightening benefits, more so than other derivatives of Vitamin C. Applying to the face, the serum glides over skin and absorbs in seconds leaving no trace of itself. Skin is left instantly hydrated with a smooth and soft texture ready for you to apply your moisturiser. It is important you apply a sunscreen after your moisturiser due to photosensitivity that is increased when using a product with AHA's included. AHA's are excellent in serums as they are applied directly to the skin, contain smaller molecules than a cream and have longer in contact with the skin to work. The Anthony Vitamin C Facial Serum can easily be introduced into your skincare routine and can be purchased at MaleSkin, the online shop for all skincare, offering a wide range of information and news, to help you with your skin concerns. Add the Vitamin C Serum in your regime to see and feel the benefits. X Neil.